Step into an unparalleled modern lifestyle offering at Florera, a LEED certified building in the heart of Seattle’s Green Lake neighborhood. Thoughtful appointments and contemporary finishes meet stellar amenities including a rooftop deck, a quiet courtyard, secured lobby, resident’s lounge and a secured underground parking garage. Stroll to Green Lake Park, trails, PCC, cafés and the upcoming Link light rail to easily pivot to the University of Washington and downtown Seattle. 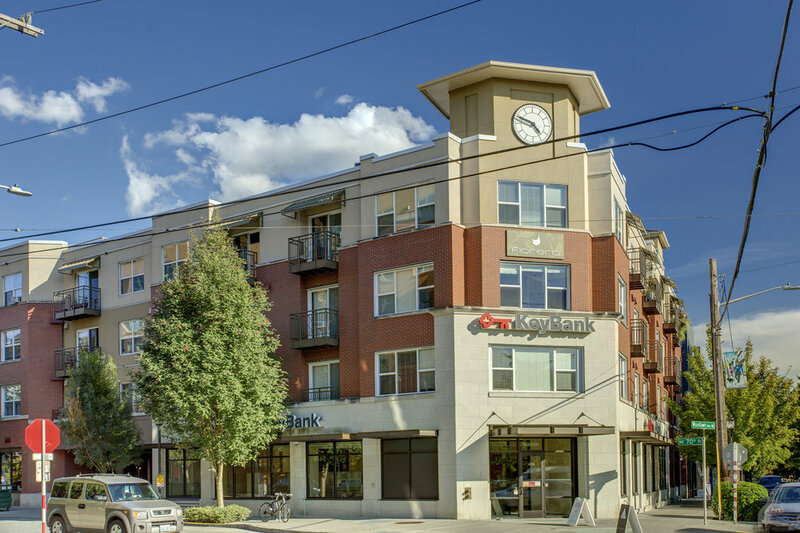 One of Seattle’s most popular neighborhoods, residents of Green Lake enjoy stellar walkability with easy access to delicious eateries and local breweries, cafés and shops. The lake draws residents and visitors alike for recreation opportunities, whether its biking or walking the 2.8-mile path around the shores, heading out atop the water in a kayak, or finding a quiet place to enjoy an afternoon picnic. Green Lake has grown significantly over the past couple of decades, with new developments and businesses to accommodate the growing number of residents and a thriving local arts and culture scene. With a Walk Score of 90, Green Lake will soon add to its ease of access with the expansion of the Link Light Rail.